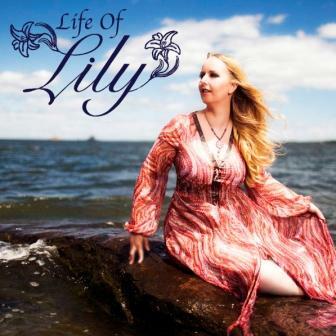 Indie pop singer-songwriter, Lily, is releasing her first studio album, Life of Lily, this November. We got a chance to review this sweet little album this week and are here to let you know that Life of Lily is an album made for indie pop fans around the world! Up in Troy, Ohio, a young group of musicians called Free Fall Theory have been braving the trials of creating music to come up with that one sound that defines them. Though they have had several lineup changes since they started a little over two years ago, I have to conclude after listening to their tunes that these guys are well on their way to something really cool together! While it was their (and their fans’) efforts in this month’s contest to be our Featured Band/Artist that garnered them the win and gave me a chance to listen to them, it’s definitely their cool music that has kept me here listening to the same three songs over and over for the last two hours! Self-described as space punk / indie/ alternative, these guys have some of the melodic sounds of pop punk and emo but have mixed those feelings with a great darker, more dramatic edge of a spacey and psychedelic sound. My favorite song they have up is definitely “Off The Ground”, and while that song is one of only three, mostly instrumental, jams they’ve revealed at this point, don’t let that fool you! This music really spoke to me and could easily speak to you… These are the cool audio tracks to that awesome space movie you saw at the IMAX theater- you know, the one that blew your mind and took you some place really far away and beautiful, not only with your eyes but with your ears- or maybe it takes you back to that time in high school where you were full of angst and wondering about your future but you were ready to try any way- or maybe it takes you to that amazing party or festival you went to last year….Any way about it, this is gonna be some great music to chill to by the pool or on your patio or hanging out with friends this summer, and I can’t wait to hear what else these guys have in store for the local scene! Free Fall Theory is currently putting the finishing touches on songs to record for their first album, which they plan to start recording soon at a local studio. You can check them out LIVE on July 13th at the St. John’s Festival in Tipp City from 3-5pm or catch them at Taunna Fletcher’s Benefit-Great Miami Adventures on Saturday, August 24th starting at 4pm! They are also working on putting together some other great local shows coming soon, so stay tuned! Check out Free Fall Theory’s Music and follow them HERE and on Music Connection’s local live band feed – HERE! Gin-Soaked & Ready To Go! These guys started less than a year ago, but they’ve been working their way around the Dayton area and paying their musician dues! While they don’t currently have any shows booked, rest assured, they’ll be playing a venue near you soon! These multi-talented young musicians are cool cats and play their own brand of original music as well as some tribute songs and aren’t afraid to rock out at your local music venue or coffee shop! They just wanna play some good tunes and have some good times with you! completed that will really emphasize and clarify their unique sound and style! Silky smooth, jazzy bluesy leads… groovy bass and percussion beats, and soulful vocals are what you’ll get every time from these guys! Click HERE to watch Gin-Soaked Angels perform Rodeo Clown (Jack Johnson) at Peach’s Grill! Check out their Facebook page to follow them and see more videos!